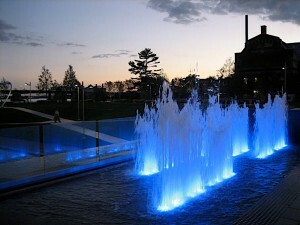 Cascade Fountains not only builds fountains, we maintain them. We offer comprehensive maintenance services that are tailored, and customized to each individual fountain. Not all fountains are created equal, so there are some fountains that require additional attention. We will work with the customer to ensure their fountain is in perfect working order, and maintains a fresh look. Fountains are often the focal point, and they draw people to congregate around them. It is important to keep your fountains clean, and in working order to ensure you can enjoy the full effect of their ambience and beauty!